There’s something about a midsize sedan that just seems to fit everybody. It’s large enough to accommodate most families, yet small enough to still be efficient. It provides practicality but, with the right options and amenities, can still provide a fun and exciting driving experience. 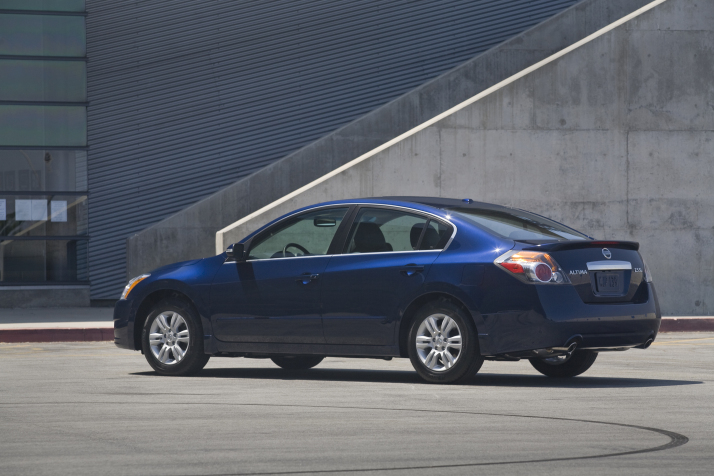 Perhaps the greatest part of the best midsize sedans is that they remain affordable for nearly every driver. With research help from Car and Driver, Consumer Reports, Edmunds, and Motor Trend, we’ve found the best midsize sedans for the 2010-2011 model years. The Fusion saw an extensive refresh in 2010, so the 2011 model only received minor changes. The best change you’ll find came in the way of a Luxury package addition. 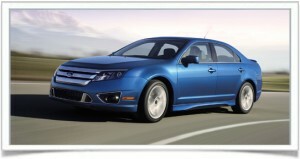 Included with this new package are chrome accents, leather upholstery, alloy wheels, and illuminated front door sills. Along with the three engine choices, it now also offers a manual-shift feature on the six-speed automatic transmission as well. Interior space is adequate, seating full-grown adults comfortably in the back seat; impressive for a vehicle in the midsize class. The electric power steering can feel somewhat unresponsive on non-Sport models, but the improved suspension handles body roll nicely. Anybody looking for a truly pleasant driving experience will want to spend the extra to get the 3.7L V6 engine, but either engine choice still leaves the Mazda 6 as a class leader in terms of a quality midsize sedan. Interior design is pleasing, and opting for the i Touring Plus will add a sunroof, electroluminescent gauges, Bluetooth, and a blind-spot monitoring system. The technology package will give you a voice-activated navigation system, keyless entry, and driver memory settings. Road noise is slightly higher than other models, but it does not get to a point where it becomes bothersome. 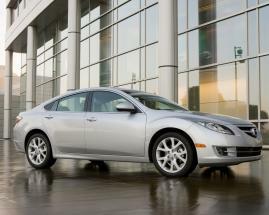 The midsize sedan class is chocked full of industry leaders. “All things considered, the latest Sonata manages to stand out in a segment chock full of good choices. It’s more refined than the ubiquitous Accord and Camry, and though the Altima, Mazda 6, and Fusion are also good picks, the Sonata has the price advantage.” (www.edmunds.com) A well-balanced chassis offers a smooth ride and sure-grip handling. A turbocharged 2.0L engine will give more power than the base model 2.4L, but either engine can deliver power to the wheels via a very smooth-shifting optional six-speed automatic transmission. Most drivers will be sufficiently pleased with the 2.5L four-cylinder model, but you’ll want the 3.5L V6 if you want the sport-tuned suspension. A manual transmission is available on coupe models, but it should be avoided in favor of the continuously variable automatic transmission. Space is adequate but rear headroom is a little tight thanks to a hard-sloping rear roof. The Technology package keeps pace with competitors, offering a hard-drive navigation system, real-time traffic and weather updates, Bluetooth streaming audio, and digital music storage.